ŠKODA presents the ŠKODA VISION X concept car, the new ŠKODA FABIA and KODIAQ LAURIN & KLEMENT. 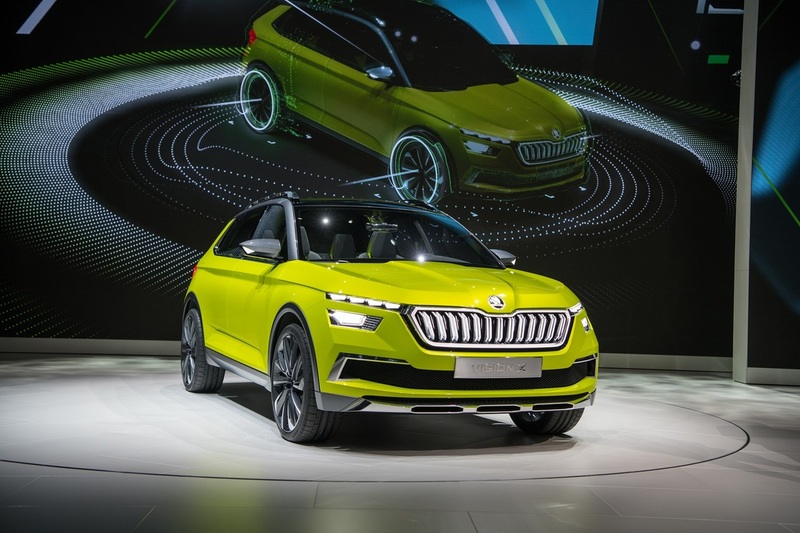 At the exhibition, the spotlight will be on the world premiere of the ŠKODA VISION X design study, which offers a look ahead to further developments in the model range. 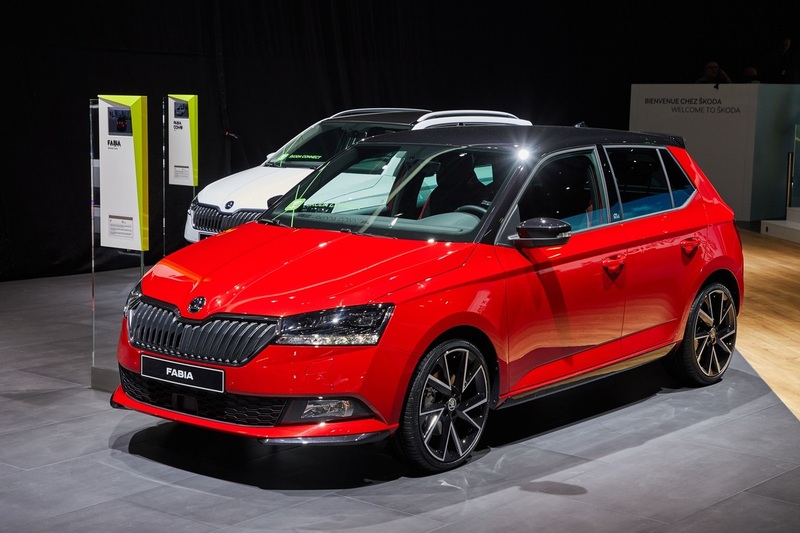 The extensively revised ŠKODA FABIA will be making its debut and the ŠKODA KODIAQ L&K, the new range-topping variant of the popular SUV model line-up, will be presented to the public for the first time. 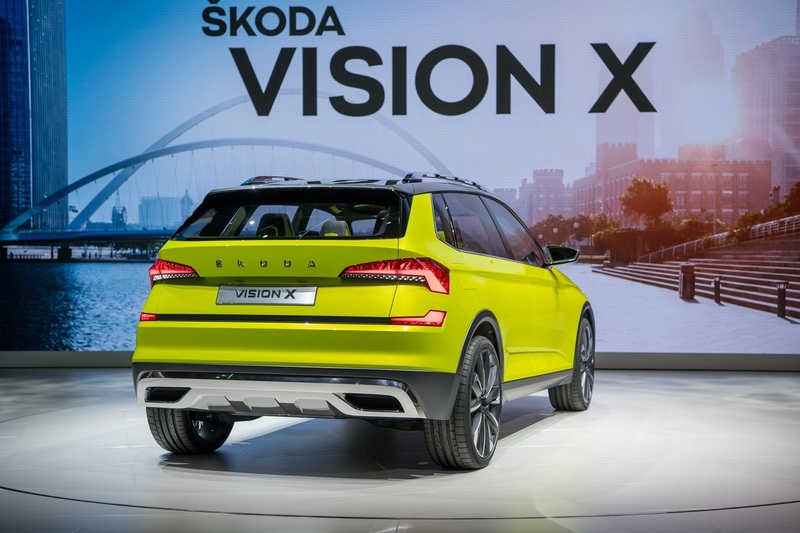 In addition to its vision of a modern crossover, the Czech car manufacturer is also providing a glimpse of a third model for the successful SUV family with the ŠKODA VISION X. The study transfers the brand-typical design language used in the SUV models into a further vehicle segment. The VISION X also features crystalline design accents inspired by traditional Bohemian glass art. 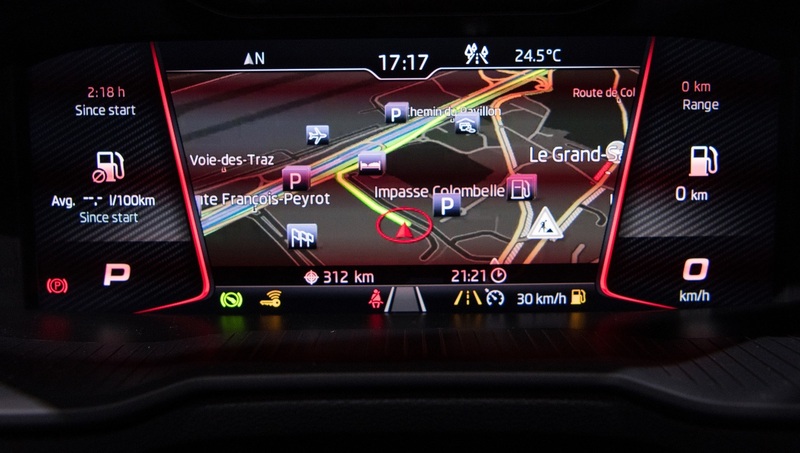 The large touchscreen display is new and enables a new operating concept in terms of infotainment and connectivity. The hybrid drive concept is particularly innovative: it couples a CNG-powered (compressed natural gas), four-cylinder, turbo engine with an electric drive and thereby allows for particularly low fuel consumption and emissions. 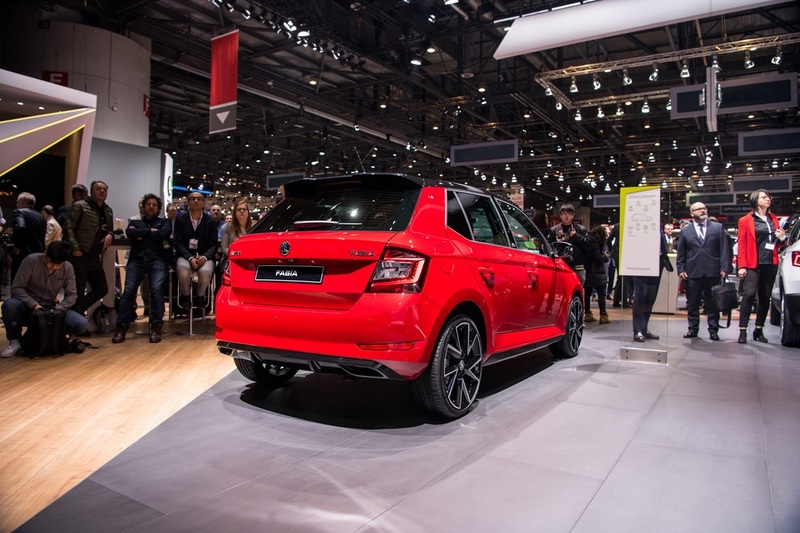 The comprehensively revised ŠKODA FABIA is also making an attractive entrance. A modified design at the front and rear provide the exterior with an appearance that is as elegant as it is dynamic and modern. In addition, LED headlights and LED rear lights are available for the first time. Inside, a newly designed instrument cluster and redesigned seats provide fresh visual highlights. The range of driver assistance systems and ‘Simply Clever’ features has also been expanded once more. 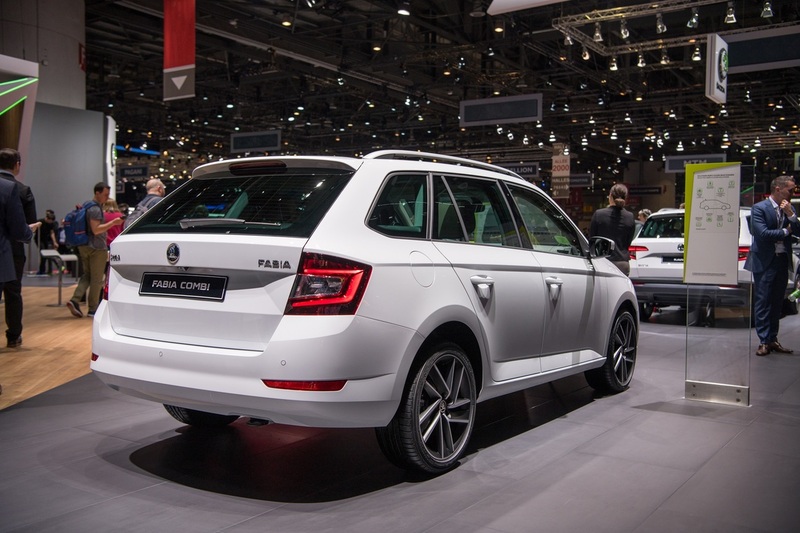 From now on, the ŠKODA FABIA and ŠKODA FABIA COMBI will be powered by responsive and efficient petrol engines. There is a choice of four engines with power outputs ranging from 60 to 110 PS. Distinct design features and a range of exclusive equipment as standard set the ŠKODA KODIAQ L&K apart. The top-of-the-line variant of the large SUV features 19-inch ‘Sirius’ alloy wheels, full-LED headlights, a radiator grille with chromed slats as well as model-specific front and rear bumpers. In the interior, the leather upholstery and uniquely designed decorative strips emphasise the elegant and stylish tone of the ŠKODA KODIAQ L&K. 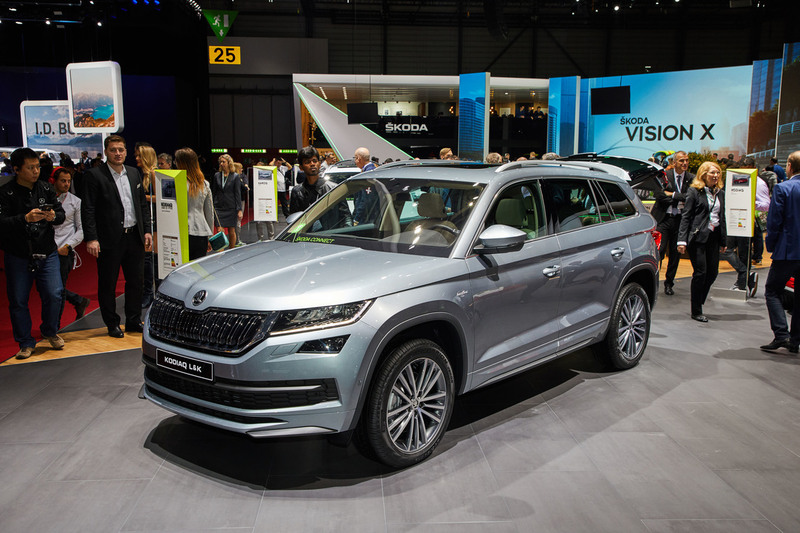 The large SUV’s engine portfolio has also been updated for the market launch of the ŠKODA KODIAQ L&K. 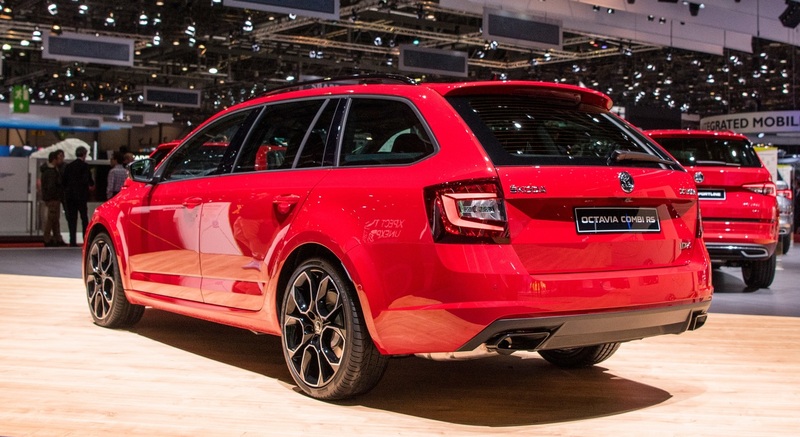 The ŠKODA OCTAVIA RS comes with a Challenge Plus package. All direct-injection petrol engines are fitted with petrol particulate filters. In addition, the digital instrument panel has been introduced to the OCTAVIA, KODIAQ and SUPERB model ranges. 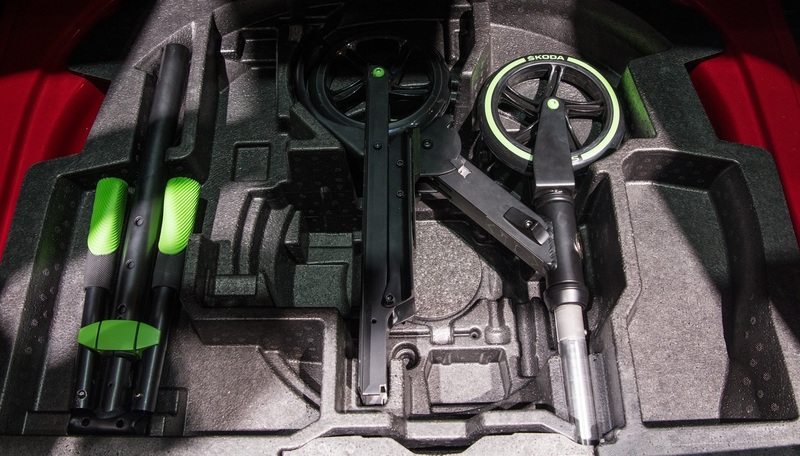 A ‘Simply Clever’ solution for sustainable mobility in the city: The new ŠKODA scooter concept comes with a patented folding mechanism that can be stowed in the spare wheel recess in the rear of the ŠKODA OCTAVIA and ŠKODA SUPERB. 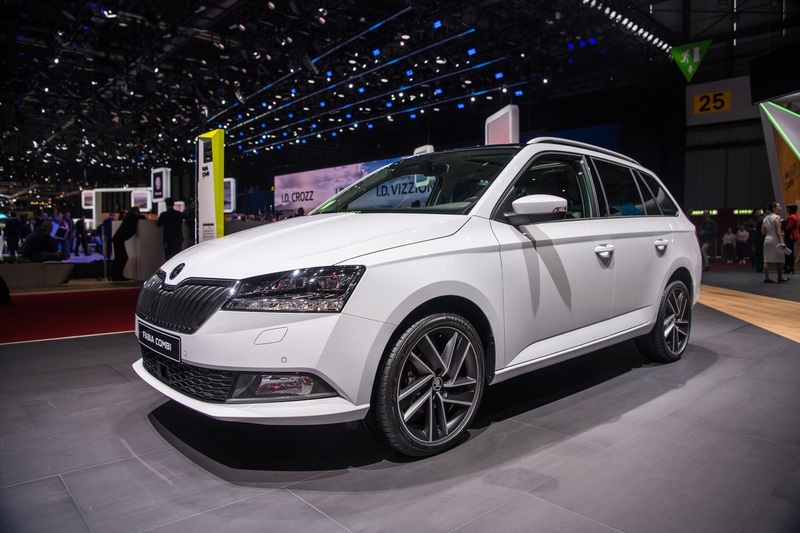 The digital instrument panel first introduced in the ŠKODA KAROQ compact SUV will be available for the ŠKODA OCTAVIA, ŠKODA SUPERB and ŠKODA KODIAQ. The panel’s displays can be individually programmed; there’s a choice of different layouts. The size and positioning of the information displayed can also be freely configured. In addition to speed, rpm, fuel gauge or the navigational destination, information about the sound system, telephone or assistance systems can also be displayed on the screen behind the steering wheel. 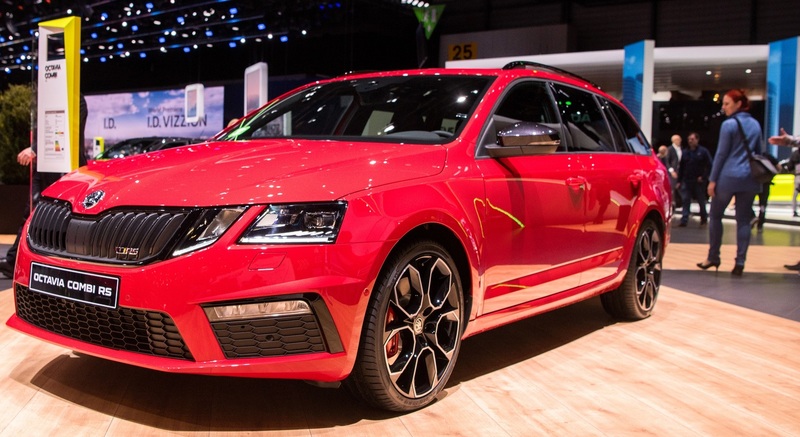 The ŠKODA OCTAVIA RS provides pure driving fun. 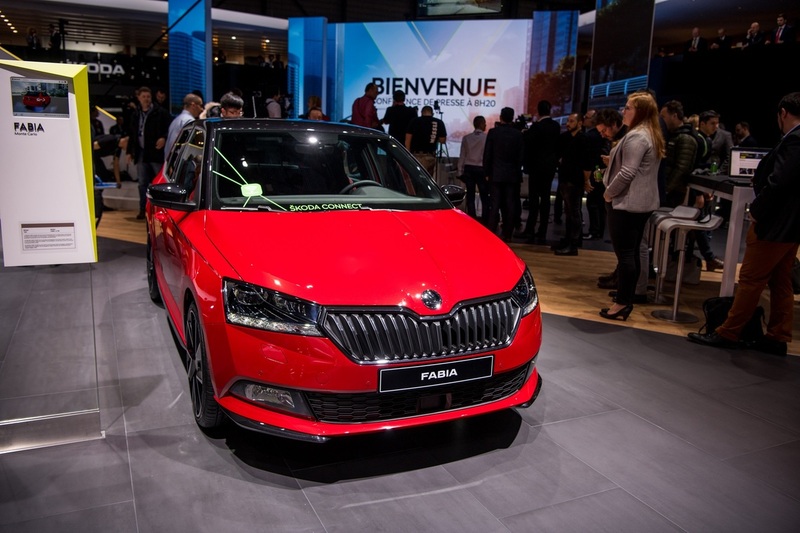 In Geneva, it is being shown for the first time with the optional Challenge Plus package, which consists of exclusive design and equipment features for both the interior and exterior. From summer 2018, the sporty top-of-the-range variant of the bestseller will feature a 180-kW (245-PS) TSI engine providing dynamic drive. The electronically regulated VAQ limited-slip differential brings the ŠKODA OCTAVIA RS’s sporty ambitions to the fore. 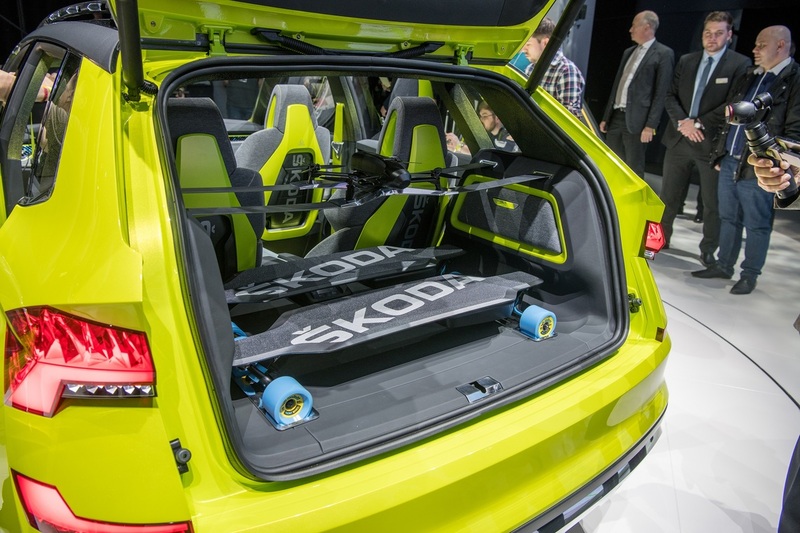 The new ŠKODA scooter concept made of aluminium alloy weighing just five kilograms but is capable of carrying a weight of up to 100 kilograms. High-quality bearings and wheels in polyurethane guarantee an equally fast and comfortable riding experience. Rubberised steering grips ensure agile and safe handling. 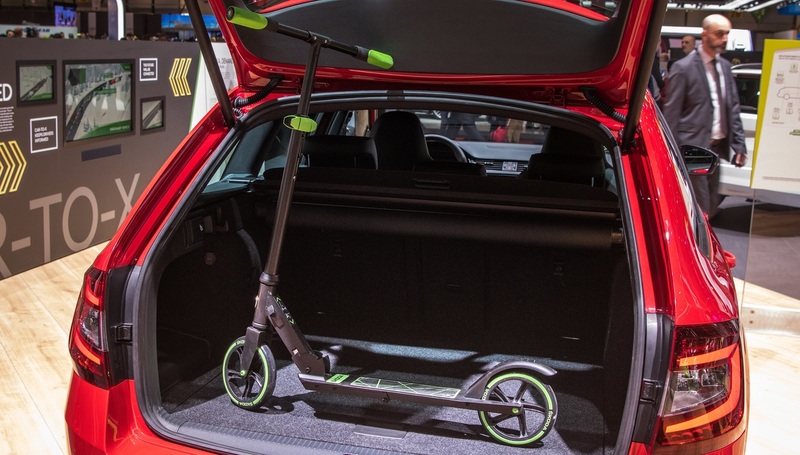 The colour and styling of the new scooter have the unmistakable signature of ŠKODA design. When it is folded up, it only measures 41cm high and 48 cm long. 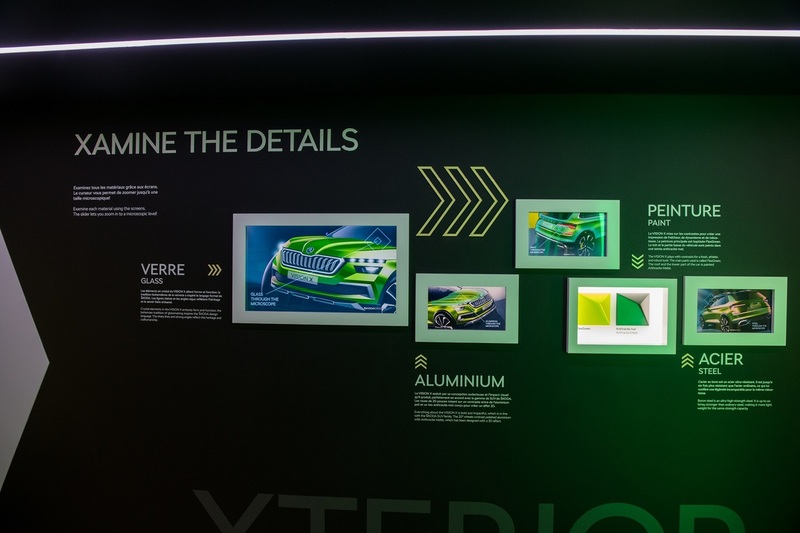 The centrepiece of the ŠKODA stand is the Innovation Tunnel, where detailed and interactive displays inform visitors about the VISION X study. On the right side of the tunnel smart solutions will be visible. 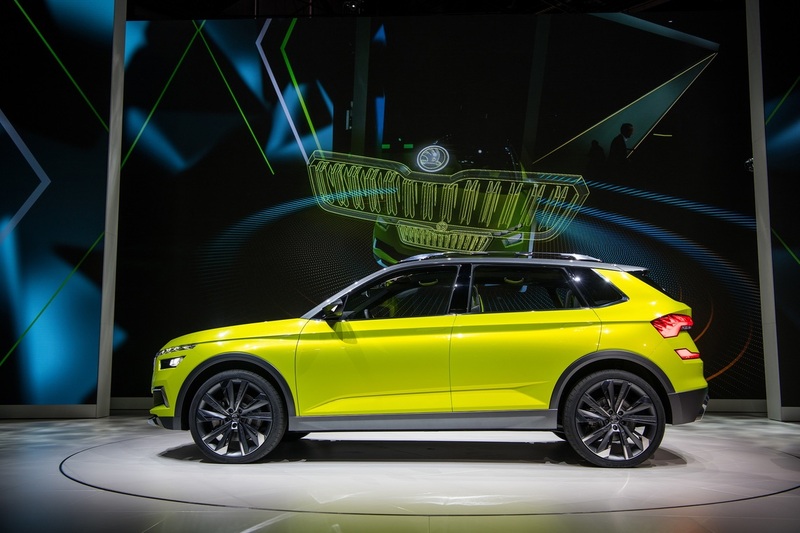 Through a story it will be possible to get information about the ŠKODA AUTO DigiLab apps, the longboard and other new elements. On the opposite side materials used in vehicle production will be shown. 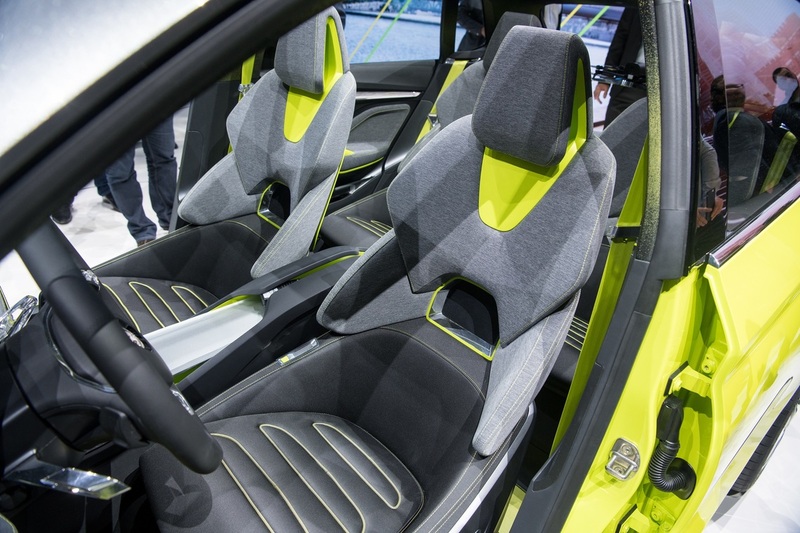 The design of interior surfaces will be on show, as will the high quality of the components that have been used. 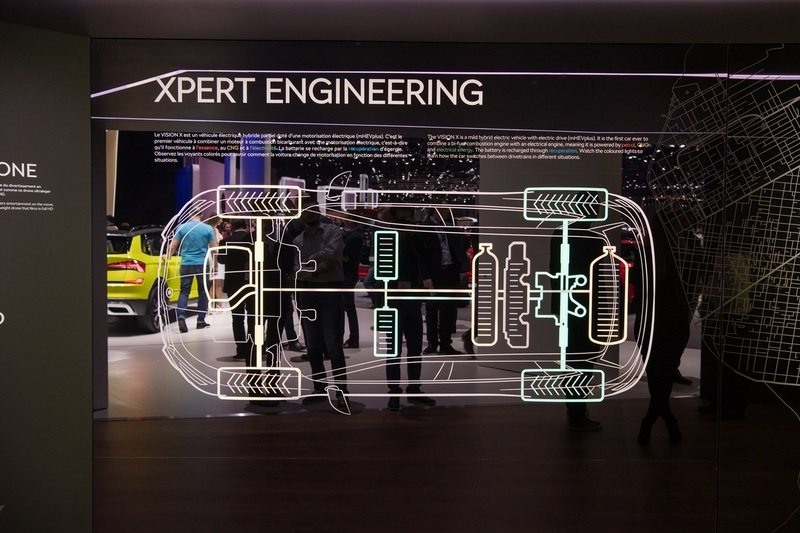 The materials used in the exterior can also be experienced in a variety of ways in the Innovation Tunnel. 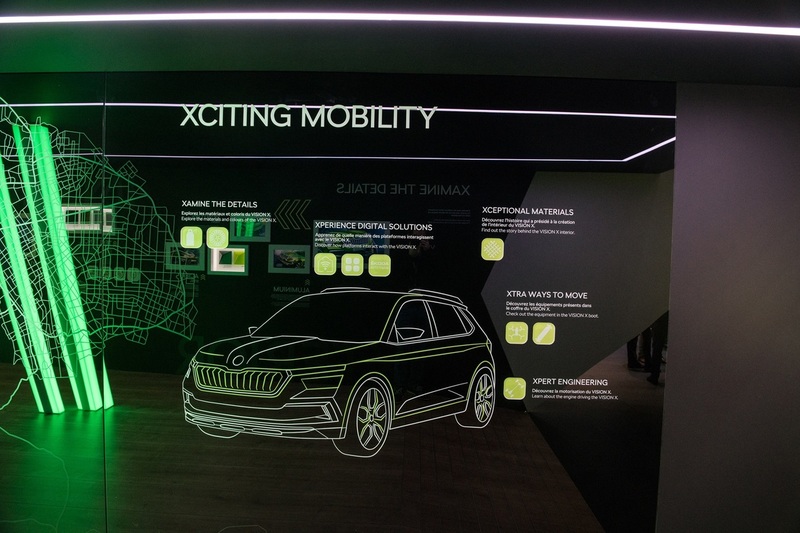 In addition, ŠKODA is giving visitors a glimpse into the brand’s current connectivity and mobility services. 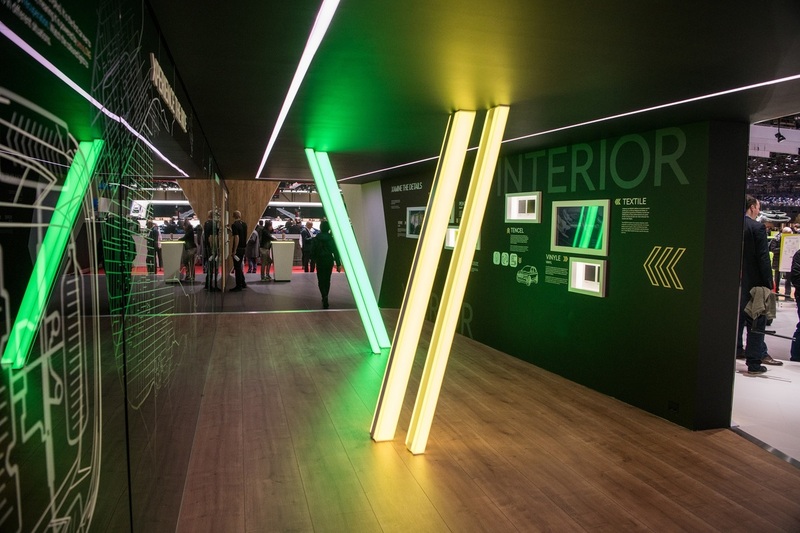 At the end of the tunnel, displays and tablets also provide visitors in an interactive way with comprehensive information about the VISION X concept study.